The “Frozen North” of Canada is a popular destination for people leaving the UK in search of a new life. The vast areas of open space offer seemingly unlimited potential to anyone who is willing to work hard. Not only that, but the massive road network and beautiful scenery is close to heaven for avid motorcyclists. Anyone considering moving to Canada will need to seriously consider what they are taking with them. Shipping costs can be expensive and it is often easier and cheaper to sell up in the UK and replace it when you arrive in Canada. However, for many bikers they would be more likely to consider leaving their families behind than their motorbikes. Anybody that is thinking of motorcycle shipping to Canada will need to prepare it properly in advance of the shipping date. Careful owners will want to clean the motorbike thoroughly before shipping and when it arrives in Canada. This might include pressure washing the bike, including the wheel arches and underneath to prevent any corrosion as a result of exposure to salty air. It is always a good idea to protect the bike during its journey. Bubble-wrap or similar material can protect any delicate parts and a solid wooden frame will hold the bike in place and stop it moving around within the container. This will also allow you to use the rest of the space in the container to ship your other possessions to Canada. Placing silica gel pouches around the bike will absorb moisture and keep corrosion to a minimum. When you deliver the motorbike to the shipping company, remember to deactivate the alarm and remove any personal possessions before you leave it. This will prevent the alarm from sounding during transit and also reduce the chances of anything going missing. Note down the condition of the motorcycle when you sign it over to the shipping company and if possible take photographs in case anything happens to it during the voyage. One of the most important decisions that you can make when you are motorcycle shipping to Canada is the choice of the shipping company. This will not only determine the cost, but also the care that they take with your prized possession. The best companies will take pride in their work and treat your motorcycle with the care it deserves. It is important to get quotes from several companies to ensure you get an accurate price comparison. If possible, these quotes should be for the same levels of service along with any extras that you might need. Another important consideration is the legal status of your motorcycle in Canada. It is important to check that it is legal to drive it on the roads over there before you think about shipping it over. You will also need to check that your driving license allows you to drive the motorcycle and arrange insurance in Canada. Check that the shipping company you are considering using is a member of a reputable trade organization and has a bond. This will give you more confidence that the company is reputable and help you to get resolution in the event of any complaints. The bond will provide a level of protection to your shipment, but you will also need to arrange suitable insurance cover for your motorcycle and any other possessions in the shipment. The location of the shipping company offices is less of a consideration now for communication with the company. Use email and phone calls to communicate if the company offices are some distance away. You might want to arrange for the company to collect your motorbike from your home or to deliver it to the company yourself. This will probably depend on the distance from your house to the offices. Shipping your motorcycle to Canada will take several weeks, even if the boat can leave straight away. Once it arrives in the port and is unloaded, the shipment has to clear customs before the shipping company can deliver it to your new home. Any outstanding customs charges will need paying before the shipment can clear customs. For most people the shipping company will transport the motorcycle from the port to their house, but some people may prefer to collect it themselves. Canada is a large company, and it can take several days for shipments that dock on the east coast to travel across to cities in the middle or west coast of the country. This can also add several weeks to the delivery times. If you are not ready to take delivery of the shipment, the shipping company can put it into storage for an additional fee. Before taking possession of your motorcycle check it thoroughly for any new damage that it sustained during transit. Alert the shipping company as soon as possible as well as your insurance company for a prompt resolution. Before you leave the UK, remember to inform the DVLA that you are taking the motorcycle out of the country and return the tax disk. This could prevent an unpleasant surprise if you come back to the UK at a later date. Also remember to cancel your motorbike insurance in the UK. 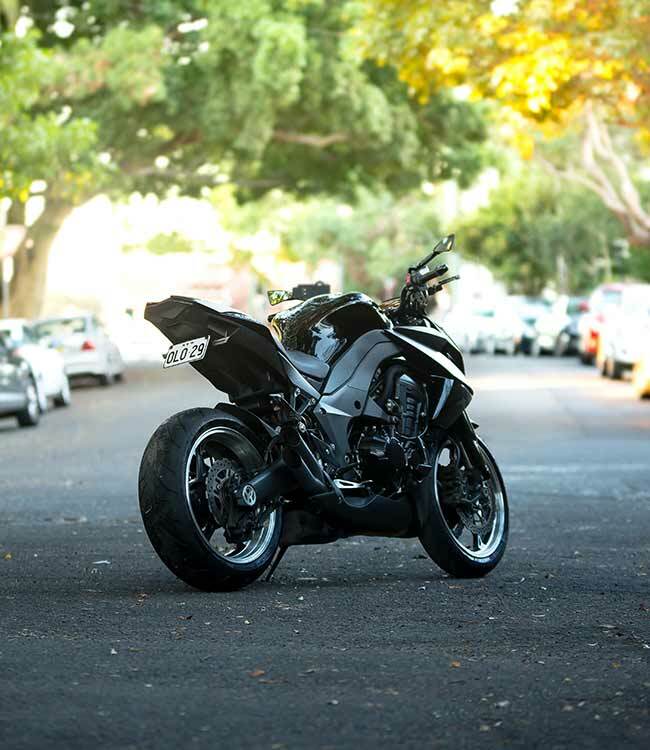 As tempting as it is to take your motorcycle out on the roads as soon as you get it, it is important to arrange insurance and register the motorbike with the relevant authorities. You might also want to take some time to get used to the different driving conditions in Canada, especially as traffic drives on the other side of the road to the UK. Winter driving conditions can be especially harsh and it might be better to wait until the warmer months. Motorcycle shipping to Canada is a great way to take your pride and joy with you when you emigrate, but it is important to make all of the necessary legal preparations as well as the logistics of the move. Proper preparation will ensure that you can enjoy riding your motorcycle all over the great roads that this country has to offer.